Selectable HI/LO sensitivity for AUX inputs. 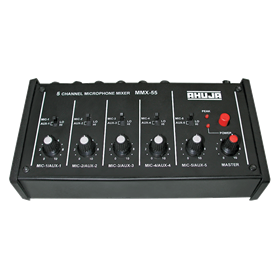 Separate volume control for each MIC/AUX input. Peak LED for setting optimum distortion-free input levels.